Stone Source opened its doors in 2004 to provide the Midwest market with beautiful, quality natural stones at an affordable price to both the public and the trade. Working directly with the quarries and plants, Stone Source offers unique custom lines in a wide variety of stones for countertops, tiles and mosaics including granite, slate, travertine, limestone, quartzite, sandstone, marble and onyx. 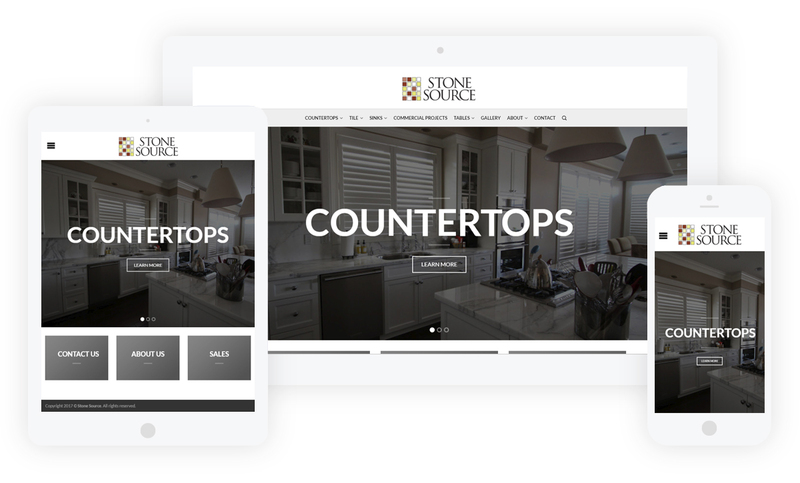 Stone Source reached out to me locally (Minnesota) to give their site a fresh “look and feel” that coincided with their newly located and renovated office. Further details included solving major “bug” issues (previous site), to simplify the usability, and social media integration.